Superfast 5G internet could add £15.7 billion ($20.7 billion) to the U.K. economy every year by 2025, Barclays has said. However, the opportunity could be missed as the majority of business leaders still don’t know what 5G is, according to a research note published by Barclays Group. According to the report published by the lender’s corporate banking arm on Wednesday, an “optimistic scenario” – an accelerated 5G rollout and quick uptake by businesses and consumers – would see a £15.7 billion increase in annual business revenue by 2025. At the current rate of development, U.K. businesses would see revenue increase by £13 billion per year, while a slower-than-anticipated rollout would add £8.3 billion to business income, Barclays predicted. Despite the technology’s potential impact on profits, Barclays found that almost 40 percent of business leaders still weren’t sure what 5G is. However, the note emphasized that the optimistic scenario could become a reality for the U.K., where the government has pledged to invest £1 billion in digital infrastructure and incorporated 5G plans into its industrial strategy. Barclays also noted that telecoms firms are already testing the technology across Britain. Vodafone will launch 5G trials in 19 U.K. cities by the end of 2019, while competitor EE will turn 5G on in six British cities this year. However, the future of 5G has become increasingly uncertain with some network providers warning the rollout could be hampered by political interference. The U.S. is pressuring its allies to ban Chinese telco giant Huawei from their 5G networks, claiming the technology could be a backdoor to Chinese espionage. Huawei has repeatedly denied claims it could be forced to hand data over to the Chinese state, but has been banned from providing 5G infrastructure to several nations including Australia and New Zealand. The U.K. has not taken a firm stance on the company, but leaders including Defense Minister Gavin Williamson and the head of intelligence agency MI6 have expressed concern over allowing Huawei to participate. Huawei filed a lawsuit against the U.S. government last month, claiming that a ban on government agencies buying its telecommunication equipment is unconstitutional. Speaking at the Mobile World Congress in February, Vodafone CEO Nick Read said banning Huawei from 5G infrastructure in Europe would set 5G rollouts back by two years. Meanwhile, Nokia CEO Rajeev Suri told CNBC earlier this year he thought 5G would be delayed in Europe due to regulatory hurdles. Superfast 5G mobile internet is widely predicted to revolutionize cities and future technologies such as autonomous vehicles, with many countries preparing for rollouts within the next few years. Barclays said 5G would enhance business operations by providing a service up to 20 times faster than 4G and paving the way for innovations that would streamline companies’ operations and infrastructure. 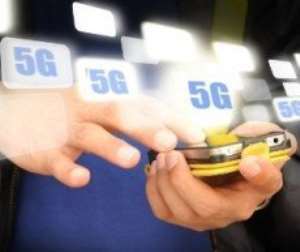 In a press release published Wednesday, Sean Duffy, head of technology, media and telecoms at Barclays Corporate Banking, called on the government, telecom firms and financial institutions to raise awareness on 5G’s potential.